Anyone who's been in the modern pagan or polytheist community for more than, say, 5 minutes will probably have noticed that we're a pretty contentious bunch. We are, in point of fact, usually much better at splitting hairs than at building bridges, something that I've written about more than once. You see I'm of the opinion that we should worry less about whether or not the person next to us folds their altar cloth left to right or vice versa*, and more about whether we share the same Gods and the same general goals and outlooks. If you go by some people its impossible to interact with or associate with people who don't follow the same spiritual path you do, who don't believe what you believe, or do things the same way you do. Others are a bit more lenient, willing to associate with people who are similar enough in the most important theology. Why is this impossible? Well the reasons vary, from concern that it will offend the Gods to be around people who don't believe in them correctly to the idea that it just personally offends the individual to have to put up with someone so different in philosophy. I was never that person by the way, with my liminal ways and my friends all over everywhere. Even before the great Pagan-Polytheist Divide I was that person with friends who were Christian, Jewish, Atheist, Wiccan, Thelemic, Satanists, trad witches, Recons - that person who would gladly get into conversations with almost anyone. Of course I myself am someone who straddles worlds, identifying as more than one distinct thing. As to whether that's a strength or a weakness, well that depends on who you ask. Some people praise me for it, others...not so much. I'd argue though that whether its a strength or a weakness, its a flexibility that is important in a world that is constantly growing more complex. 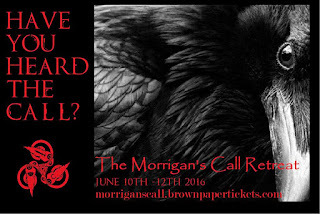 I'm getting ready for the 3rd annual Morrigan's Call Retreat, coming up in less than two weeks. As part of this Retreat I'll be acting as a priest/ess in several rituals for a diverse group of people with a diverse group of co-facilitators. In the past my co-priestesses have included people on many different paths whose views agree and disagree with my own to varying degrees - and yet our ability to work together has always been good and the rituals themselves have touched people in meaningful ways. 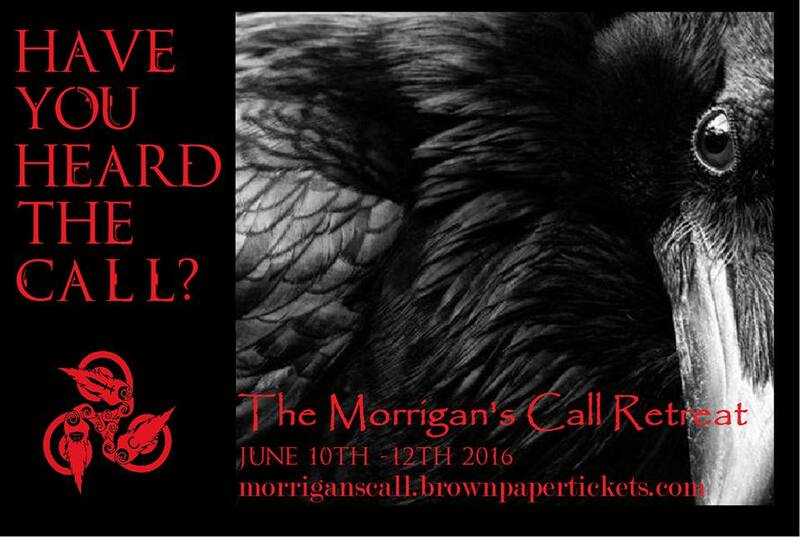 We come together to offer a conduit for the Morrigan, both to be honored and to reach out to those honoring Her. And it has always worked, and she always seems to appreciate it. I would argue that our diversity is an undeniable strength and that our ability to serve our community comes directly from it. Spirituality is ultimately a solitary thing, even when we practice it in a group because it is something that lives in our heart. Our spirituality may be expressed around others or in a group setting some small amount of the time but we are always within ourselves contemplating and doing whatever it is we do in our daily lives. This 24/7 spirituality is far more important, I think, than what we may do in the small amount of time we spend religiously with others. No two people then are exactly identical in their spirituality, although they may be very, very similiar. Our community is diverse, whether we want it to be or not, because no matter how much we try to surround ourselves with people just like us, people who believe like us and act like us, we will always fail. Its not human nature to have that much sameness, nor looking at history has it ever been. At the height of the Norse pagan period there were atheists among the Norse. There is an open, unanswerable question about whether the Tuatha De Danann are the aos sí or part of but distinct from them, and each person has to decide for themselves how the Irish Gods fit into the beliefs about the Good Folk. In spirituality there are always going to be more open questions than answered ones, and more than we'd like to admit the answers we do have are less certainty than faith. We believe what we choose to believe based on our own experiences and knowledge. And so each person has slightly different views and opinions. We are diverse. I thought it would be fun to switch things up a little bit and do something for people who enjoy my fiction. 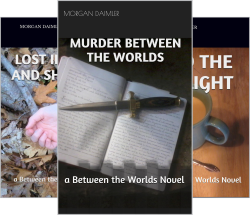 For those unfamiliar I have a four book series called 'Between the Worlds' which is something between an urban fantasy and paranormal romance with a lot of Celtic mythology and folklore thrown into an alternate reality mix. Its something I really love to write and it gives me a creative break from my non-fiction and translation work. So for today's blog I asked people to give me 10 questions relating to the series that I'd answer here. 1. Where did you get the idea for merging the two worlds? - Where I live we sometimes get really foggy days. I was driving across a bridge on one of these days and just started thinking that it was like something out of an old fairy-story, where someone wanders into the mist and out of our world. And I started thinking of what it would be like if you could just drive from our world into Fairy, and from there the idea of the two worlds being physically merged into one world grew and developed. 2. What was growing up in elven society like for Jess and Bleidd? - Elven society is very rigidly structured, and very matriarchal in a way that favors women (much the same as we could say patriarchy favors men). So for both of them growing up male in that sort of society means having limited control over your own life. On the same hand the elves are the highest ranking beings in their world so they were also in a social situation to have a lot of pride about who they were and their society. Bleidd had a lot of freedom and an easier time for much of his life than most because he had an older sister, which meant that his only potential value to his mother was either in being used for an alliance marriage or doing something that reflected well on his family. He was very close to his sister, and she favored him in a way that allowed him a kind of unprecedented freedom. Because he had magical talent he joined the Elven Guard and trained as a mage. When his sister died he was already well established in the Guard and not in a position for his family to manipulate as easily. He's a bit unusual in that respect, and a lot of his personality reflects that he was given more free reign and allowed more individuality than most men in his society. Jess, being the second son out of only two children, and having no particular magical talents (in a world where that extra talent counts for a lot) had a harder time. Jess really is a product of his society - the Law means a lot to him, as does doing the right thing, and being a part of a community. 3. And what it was like for Allie growing up? - Allie's childhood is complicated. She spent the first 10 years or so with her mother, in the Dark court, caught in this weird place of being female and so privileged as her mother's heir, but also half human and so running into a lot of prejudice from her extended family, who see humans as even lower than the other Fey. Allie has an older brother, something that's alluded to in the fourth book, but without giving away any spoilers for future books I'll say he isn't particularly nice, and he is very ambitious. Her mother believed that if anything happened to her Allie would probably end up - one way or another - as someone's puppet and so she gave her to her human father when Allie was 10. She lived with him for two years, happily, until he died in a car accident, then she went to live with her grandmother, where she faced the same basic problem she had with her mother's family but reversed. Her grandmother and cousin were very prejudiced against elves, so Allie has always lived with a message that her ancestry is not acceptable, which is why she takes the rather risky approach of trying to 'pass' as human. She's never had much long term stability in her life, so that's something that she really strives for. 4. You have the traditional two courts of Fairy, but they seem different. How do the Dark and Light courts work? - In the reality of Between the Worlds, before the two worlds joined (in 1914) things were basically as we know them as far as human history and what we have from folklore goes. There were two main power structures in Fairy, the Light court which is generally pretty well inclined towards humans and the Dark which isn't. The Light court is structured based on Laws and an adherence to social order; the Dark is structured based on power and the strong ruling over the weak. Where the Light prides itself on being civilized to a fault, the Dark is brutal; both can be cruel in different ways. When the two worlds merged there was a huge and drawn out war, or more precisely many wars all over the world which became that reality's equivalent to the World War. It went on for decades, into the 1930's, and only finally ended when both sides realized that no one was going to win and the only viable option was detente. Because the Dark court had fought harder and suffered higher causalities the Light court was able to basically pull off a political coup within the existing Fairy holdings (their equivalent of countries) and force the Dark court into submission and going along with the idea of peace. The result however was that the Dark court went underground and became, functionally, very much like the Mafia during prohibition or a similar well organized criminal organization. They still exist, and they still believe that the world should belong to those powerful enough to rule it without mercy, so their long term goal is to regain enough influence to take back their former power. 5. Why do most elves who are Outcast die? Why didn't Bleidd? - Elven society is based on extended family units and elves are taught from birth that one should only risk strong emotions like love on blood kin, because anything else is too fragile to be trusted. They are generally extremely loyal to their own immediate families, extending out to their clans by degrees. Being Outcast is considered one of the most severe possible punishments because it legally severs these ties and leaves the person alone and with no support system in a world that doesn't normally have that possibility. Most elves who are Outcast die because they cannot process the psychological impact of the extreme change from one to the other - the solitude and isolation from society -, and because they have been taught that its better to die than live with that kind of shame. Bleidd, however, is unusually independent for an elf, especially a male, and he is very stubborn and a bit self centered ( a significant flaw in his culture actually). He survives initially because he's so angry at the injustice of being wrongfully punished that refusing to die is his way of metaphorically flipping the bird at the people who cast him out. As time goes on he develops enough basic coping skills to adjust to being outside the society, but he also heavily self medicates with alcohol and excessive self-indulgence. 6. Why can't the Elven Guard captains get married? - Because the job is one that consumes their lives 24/7 and they cannot have the distraction of divided loyalties; you can't have a marriage contract and commit to trying to give someone else a child when you are literally working whenever you are awake. It is however a job that you can voluntarily step down from, and become simply a mage in the Guard if you wanted to. 7. Ashwood is a human town that is stuck between the two worlds - are there any Fairy equivalents in other places, where its a Fey town that is the bordertown? - Yes, although that is less common. Bordertowns in general are rare and act as the points of passage between the joined worlds, like bridges, since even though the worlds are joined you still can't simply walk from an earth area to a Fey one. Most Bordertowns are human because there were just more human places than Fey ones when the worlds joined. 8. Why does magic effect technology? - Basically magical energy is very similar to electrical energy, enough that the presence of magic tends to overcharge and short out anything electrical. In order for things like computers, cell phones, toasters, cars, etc., to work in a Bordertown they have to be shielded from the magical energy, which ironically can only be done using magic. There are people whose entire careers are based on this. Even with that though the fully magical atmosphere of Fairy makes it almost impossible to keep anything electrical working for long, without using a specially designed Farady cage*, so the amount of tech in the Fairy Holdings is extremely limited. 9. Are the spells in the books real? - I try to make all the magic in the books as real as possible, including the spells. 10. If elves have both magical healing and human medical technology now, why do they still have such a high maternal and infant death rate in childbirth? - Magic and tech still have their limits in this world, and magic doesn't make the elves omnipotent. You have a population that has a low fertility rate to begin with, which favors male children 3 to 1, and where a woman may have two to three children in the course of five or six hundred reproductive years. You have a population with fewer women, where pregnancy is not a common occurrence, and where even healers only deal with it - even in larger populations - a few times a year. In smaller populations a healer could go years, or even decades between dealing with a pregnancy. Add into that the fact that they are very prone to dangerous complications and you end up with healers who simply don't have the practical experience in dealing with every possible problem that can arise. Also magical healing can address certain types of emergencies particularly those that are more trauma oriented- a torn placenta for example, or infection - but not things that are purely physiological like the baby being too large to pass the mother's pelvis, or the mother's heart failing during labor. Human technology can help in some cases but only if its used and this is a difficult area, because elves are both extremely proud of their own culture and also very slow to change. Since electronic tech doesn't work well in Fairy the baby would have to be delivered in a Bordertown where both tech and magic are available, and that would not be something most elves would want to do. *a Farady cage is an enclosure made of a conductive metal, like copper, that blocks electrical fields, and in this case magical ones as well. One of the most well known of the Irish Gods is Lugh, Lug in Old Irish, who is given several epithets including Lamhfada [long arm], Ildanach [many skilled], and Samildanach [many joined skills]. He is also sometimes called either Mac Céin, son of Cian, or Mac Ethlenn, son of Eithne (MacKillop, 1998). One of the epithets applied to him in the Lebor Gabala Erenn is ‘rind-agach’ which Macalister gives as ‘spear slaughterous' (Macalister, 1944) although ‘spear-combative’ is a closer translation. Lugh was one of the High Kings of the Tuatha Dé Danann, ruling after Nuada, and he was the only one who could defeat his grandfather, the Fomorian Balor, in the second Battle of Maige Tuired. During this battle we see Lugh earning his epithet of many-skilled as he earns his way into the High King’s hall by proving he has more skills than any other individual member among the Gods. Later before the battle itself we also see him actively using his magical skill to rally his army and to curse the opposing army (Gray, 1983). Lugh was the son of the Dé Danann Cian and the Fomorian Eithne; his paternal grandfather was the physician God Dian Cécht and his maternal grandfather the dangerous Fomorian Balor who had an evil eye that could kill anyone it looked on. There had been a prophecy that Balor’s grandson would kill him so Balor imprisoned his daughter in a tower; Cian snuck in and had a tryst with Eithne which resulted in triplets. When Balor found the babies he cast them into the sea where two of them either drowned or were turned into seals, while Lugh was saved and fostered by either Manannan or Tailtiu (MacKillop, 1998). In the Ulster cycle he is said to be the father of the hero Cu Chulainn by a mortal mother although Cu Chulainn does simultaneously have a mortal father as well. We see Lugh coming to Cu Chulainn’s aid in the Tain Bo Cuiligne when the hero is gravely injured, taking him into the Otherworldly sí in order to heal him. In myth and folklore Lugh is given four different wives: Buí (better known as the Cailleach Bhéirre), Nás, Echtach, and Englic (MacKillop, 1998). One of these wives was unfaithful and had an affair with the Dagda’s son Cermait, prompting Lugh’s vengeful killing of him; this in turn eventually led the three sons of Cermait to seek revenge on Lugh for their father’s death. Lugh is most strongly associated with the festival of Lúnasa, which bears his name, although it is more properly understood as a memorial for his foster mother Tailtiu. Lúnasa in old Irish is Lughnasadh meaning ‘funeral assembly of Lugh’ while in more modern Irish the name means ‘games or assembly of Lugh’. According to the Lebor Gabala Erenn Lugh instituted the games of Lúnasa in honor of his foster mother after she died clearing the plain that bore her name (MacAlister, 1941). The holiday itself focuses on the celebration of the beginning of the harvest with things like dressing holy wells, horse races, athletic games, and the preparations of special foods. Today many Lúnasa celebrations center on Saint Patrick as a divine protector of the harvest but it is likely that Lugh originally held this role and was only later replaced when the new religion came in (McNeil, 1962). Lugh may be seen as one of the kings of the Otherworld, particularly associated with Teamhair, as he is depicted as such in the story of Baile in Scáile (Smyth, 1988). He is also strongly associated with the founding of different mortal family lines and several different tribes were named after him (Smyth, 1988). Lugh was the king of the Gods for a time and is portrayed as having a very important role among the others, being both well-known and appearing in a variety of myths. Some scholars suggest that Lugh was an interloper to the Irish pantheon who was only added later and that his mythology reflects this, showing him being born and coming into the crisis between the Tuatha Dé Danann and Fomorians in a way that displaces the existing king Nuada (O hOgain, 2006). Whether this is so or not, Lugh was almost certainly a pan-Celtic deity who can be found under similar names in different related cultures, although one should note the mythology is very different elsewhere. To the Welsh he was Llew Llaw Gyffes, and to the Gaul’s he was Lugos; the name is derived from the proto-Indo-European root *leug(h) which most likely means ‘to swear an oath’ (O hOgain, 2006). Lugh possessed one of the four treasures of the Tuatha De Danann, said in myth to be either a sword or spear, although it is most often believed to be a spear (Daimler, 2015). It is said that whoever had the spear of Lugh could never lose in battle. In the story ‘Tuath De Danand na Set soim’ we are told that this treasure was acquired by Lugh in a city before the Gods came to Ireland, a version echoed in less detail in the Lebor Gabala Erenn, although there is another story about how he gained the spear as well. The ‘Oidheadh Chloinne Tuireann’ tells us that after Lugh’s father Cian was killed by the children of Tuireann, Lugh required them to fulfill a series of impossible tasks and in so doing gained his famous spear; although the children of Tuireann did fulfill all of the things asked of them they ultimately died in the effort. Lugh is a multi-faceted and multi-skilled deity who is well known even today among many pagans. His mythology is complex and shows us a deity who is bold and powerful, but also stubborn and sometimes unforgiving. He was a successful king to the Tuatha De Danann, and in the story of Baile in Scáile he appears alongside the personification of sovereignty, speaking to the one who would be the human king of Ireland. And in later folklore it was Lugh who secured the harvest by contesting against Crom Cruach, reinforcing his role as a God who supports the proper order of civilization. There are certainly many things in Lugh that a modern pagan might choose to connect to or honor. 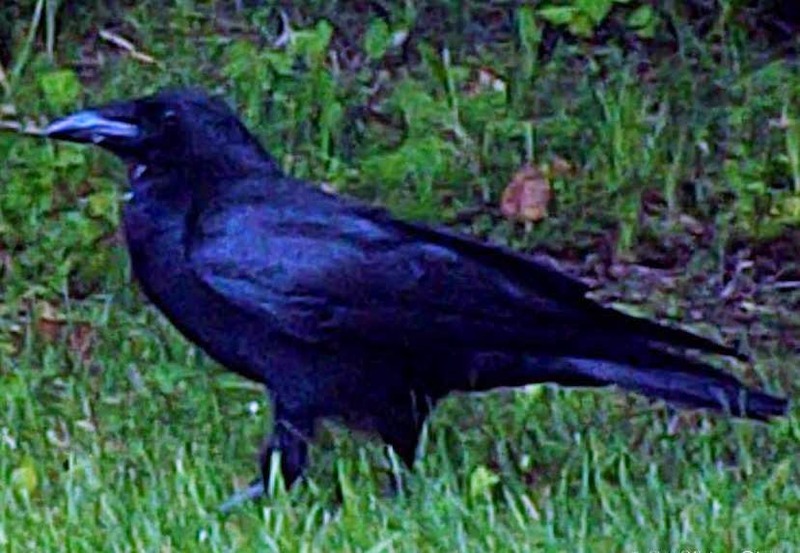 There's a fascinating bit of text called 'Fiachairecht ocus Dreanacht' or, roughly 'Raven Augury and Wren Augury' that outlines in detail what exactly omens with these birds mean based on where they are when the omen is received. I've decided to do my own translation of this work by dividing it up into sections, starting with 'Fiachairecht' (Raven Augury). As usual I'll give the original Irish text first followed by my English translation. Madh congaire an fiach os imdha comdluthta a medon an tighe is ardgres liath no chlerig ticc cucad, acht ata deithbir eturru .i. mad laoch clerech is bacach adeir an fiach, madh fer graidh is gradh gradh congair ocus is fo do do ló congair. Madh gresa oclaich no caintidh ticc and is graacc gracc congair, no as grob grob ocus i lleith ad diaigh congair ocus as as tecaid na gressa. Mad gracc gracc congair fordhighthir na hoicc dia ngair. Mad mna tic and is foda congair. Mad congaire don aird aniartuaidh don tigh meirligh ar ti na n-each do ghaid. Mad ar dorus an tighe congair coimighthi no amhuis ticc ann. Mad os dorus congair cainti no gresa do lucht comaitechta righ tic ann. Mad os imda in fir maith congair airm a mbia a gascidh ocus se ac dul for fecht ni ticfa slan ocus minab eadh ticcfa imslan. Madh í in ben nodbebhus is andsan adhart congair. Mad a cosuibh imdha in fir congair ticfa a mac no a brathair no a chliamain don tigh. Mad a forimel na cuiled airm a mbi an biadh inti congair is tormach mbidh don leith asa ngair .i. carna no cetbleghon bo. Madh ider an cuilidh ocus tene a aighidh, aidhigh combind ticc don tigh. Mad nesu do mnai an tighe airm a mbi na suidi it le na greasa .i. cilamuin no cara. Mad fri cuilid andes congair altrum no gresu a céin ticc don tigh. Mad guth bec asberu .i. err err no úr úr galar for nec[h] isin tigh no for ni dia ceathra. Mad coin ticc fona caorchaib as don cru caorach congair no a n-urcomuir na mna maithi ocus is edh adeir carna carna grob grob coin coin. Mad congaire do chleith an tighe an tan bithter ag longud caithid an longud sin. Mad do chloich congair tasc athaigh sin. Mad do chrund ard congair tascc oigtigerna indsin. Madh do chleith in craind tasc rig no meic saorcheneoil. Mad dia ndech leat for feacht no romat ocus mad failidh fair bidh maith do thurus ocus doberthar úrcharna duit. Mad tuathbil dotes ocus congair fort belaib is tru forsa ngair amlaid no fordergadh for neach don foirind. Mad for do belaib ac dul docum dala coimeirghi inti. Mad tuaithbel dodeocha marbthar nech don coimeirghe sin. Mad congaire de chuil na n-each rneirlig fora ti. Mad dia soa foen ocai ocus dia n-abra grob grob gadtar ni dona hechaib ocus ni fuidhbiter ocus rt. If the raven calls over an enclosed sleeping couch in the middle of the house grey-haired, noble guests or clerics are coming towards you, but there is a difference between them that is if lay-clergy then 'bacach' says the raven, if a man of ecclesiastical orders then 'gradh gradh' it calls and calls so twice a day. If warrior guests or satirists are coming it calls 'graacc gracc', or 'grob grob' and in the grayness of evening calls and the guests are coming. If it calls 'gracc gracc' the youths are suffering for a short time. If women are coming its call is long. If it calls from the north-east point of the house bandits are about to steal the horses. If it calls from a doorway of the house foreigners or hirelings are coming there. If above the doorway it calls satirist or guests in the household attending a king are coming there. If it calls above a sleeping couch of the good man, where his weapons will be, and he ready to go for a time, he will not go safely yet he act gently however he will go in safety. If it is the woman who shall die then from a pillow it calls. If its from the foot of the man's sleeping couch it calls his son or his brother or his male in-law will come to his house. If it calls from the edge of the storeroom where the food is stored in the food will increase from the part of that quantity, that is meat or first milk-yield of the cow. If its face is between the storehouse and fire, sweet countenances will come to his house. If it calls near to the woman of the house, her usual place, it will be the guests of the aforementioned that is a male in-law or a friend. If it calls toward the right of the storehouse a new foster or long term guest are coming to the house. If it speaks with a small voice, that is 'err err' or 'úr úr' illness on someone in that house or on something in the herds. If wolves will come among the sheep , it calls from the sheep-stock or the raven calls by the good woman and it says 'carna carna', 'grob grob' 'coin coin' [wolves, wolves]. If it calls from the ridgepole of the house when they are eating their meal they cast away the meal there. If it calls from a stone it is news of a commoner's death there. If he calls in a high tree news of a young lord's death. If from a hidden tree a king or noble's son's death-news. If one go with you on a journey or before you and if happiness is on it [if it is happy] your journey will go well and new meat will be given to you. If it comes lefthand-wise and calls on you, he is doomed who this cry is on thus, or doom on someone in the group. If before you close to going to the assembly, an uprising at the aforementioned. If lefthand-wise it has come a death of someone at the uprising there. If it calls from the horses' corner thieves are about to attack. If it turns over on its back then and it says 'grob grob' some unlucky horses will be stolen and not be found and so on. Generally speaking when you start to look for books on paganism one of the first pieces of advice you might get is to avoid things published prior to and during the Victorian era*, or books that rely too much on these as sources. Generally speaking this is good advice as this period was a time when scholarship was heavy on unsupported supposition and opinion and short on factual evidence. There is however one large exception to this general rule that I'd like to address today because its an important one, especially for those who have an interest in fairylore. There was a movement during this same time period for folklorists and anthropologists to begin collecting the stories of the people, both the old folk tales that had been passed on for generations and also stories of personal experiences and family lore. The motives for doing so were likely less than ideal in some cases but the result is a multitude of books that are full of stories which relate people's first or second hand experiences with the Good Neighbors and the complex of beliefs surrounding them over the last several hundred years. For modern people, especially those interested in the Fairy Faith as a viable system these stories are vital. While the usual rule of thumb may be to avoid books dated prior to the mid 1900's or so when we are looking at books of folklore the rules are different. Although I still advocate being careful with anything sold as 're-tellings' because those usually involve a lot of fictitious additions and translations because they often alter material in the translating there are many important folklore collections to be found from the 1800's. Of course when we read these stories we must still be cautious to watch for the editor's influence on them. It is usually easy to tell where the person writing them down has inserted their own opinions into the narrative or where they have simply written down exactly what they were told as it was told to them. In many cases we get a mixed result where there may be a great deal of wonderful anecdotal information preserved, but we must pick through secondary opinions to get to it. We see this with the Fairy Faith in Celtic Countries, which espouses some popular theories of its time that should not be trusted now - like the fairies as native British pygmies - while also giving us some valuable folklore. We shouldn't throw out the baby with the bathwater, but rather learn the discernment to judge what is valuable and what is just some Victorian academic's personal opinion. We also need to keep in mind something else. Anecdotal evidence is not limited to a hundred years ago - it still exists today. We have the strangest habit as a culture (speaking especially of Americans here) of giving some credit to people a hundred years ago for actually possibly having had some genuine experience of the Otherworld while simultaneously doing everything possible to rationalize away people in our time saying the same things. We can believe that a hundred years ago someone saw or experienced Fairy, but simultaneously believe that no one can really have those same experiences today except intangibly in dreams or meditations. And yet people do still see and experience Fairy as they always have; we are just more reluctant to talk about it today because of the strength of the disbelief. Not to say we should immediately believe every claim by every person, because discernment is always valuable, under any circumstances, but I'd caution against deciding that our own cynicism should be the measure for everyone. What we personally see or understand is not the limit or ability of everyone else. It may be best to find a balance between a healthy skepticism and an attitude that espouses, as Shakespeare said that 'there are more things on Heaven and earth than are dreamt of in your philosophy'. 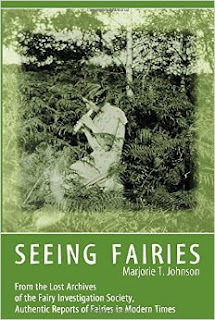 There have been some efforts to collect modern anecdotes, such as 'Seeing Fairies' by Marjorie Johnson and Simon Young as well as an excellent documentary 'The Fairy Faith - In Search of Fairies'. These modern collections re just as important as the older ones because they show that the beliefs are still vital and alive, if less visible. Ultimately anecdotal evidence is important because it gives us a snapshot of the beliefs of the people at different points of time. It shows us not only what they believed but in practical terms how they felt the different worlds interacted and effected each other. Reading a range of anecdotal evidence across different periods of time is important, and for those interested in fairylore its essential to see the beliefs in different areas and the changes to beliefs over time. We can learn a great deal from this material, if we are willing to embrace the older as well as the new. I won't lie - I'm no fan of Robert Graves and I doubt you'll find many Reconstructionists who are. Writing in the 1940's Graves still had the Victorian mentality that said it was perfectly fine to invent history if the story you were spinning seemed logical to you. And in fairness Graves was no scholar but rather a poet and his work is the work of a poet. 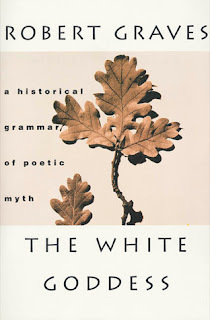 There is an excellent book by Mark Carter called 'Stalking the Goddess' which dissects Graves book the White Goddess and sheds a lot of light on how it came to be what it is, and I highly recommend anyone interested read both Graves' book and Carter's. Before we get into what exactly Graves created, why the false history is problematic, and how these ideas are now shaping paganism, I want to be clear about one thing. Many of the concepts Graves put forth do have great value today and believing them or following them isn't necessarily a bad thing. In fact some of them have led to very deep and meaningful theology and that should certainly be kept. Where the problem comes in is with the idea that these things are far older than they actually are and with a pervasive attempt to retrofit the original pagan culture to fit modern concepts that are foreign to them. When Graves wrote he called his product Celtic and attributed his ideas to the pagans of the various Celtic cultures in ways that were at best misleading and at worst intentionally duplicitous and that has left a seemingly indelible mark on neopaganism. The White Goddess was published in 1948 and is arguably one of the single most influential books to shape modern paganism as we know it today. It is from Graves that we get many concepts that are foundational to mainstream paganism including the triple goddess, oak and holly kings, 'Celtic' tree calendar, and the Druidic gods Druantia and Hu Gadarn. To be clear all of these concepts as they are now understood in paganism don't date back before Graves' book and are not historically Celtic*. Nonetheless because of Graves work the majority of people believe in the historicity of these things and they have been perpetuated as genuine in countless subsequent books and other resources. The idea of the triple Goddess as outlined by Graves was based on the relationship between the poet and the 'muse' which was his Goddess. He describes her in various ways throughout the text, from a bride, mother, and 'layer out' (i.e. death goddess) to a girl, woman, and hag, although clearly it was as maiden, mother, and crone that we came to know her best. He related this triplicity to spring, summer, and fall as well as to the new, full, and waning moon. His views and description of this muse/Goddess are entirely in relation to the male poet and are, in my opinion, heavily misogynistic in tone: his main triad is the Mother/Bride/Layer Out based on the idea that it is the mother who births and nurtures the poet, the bride who marries him and is his lover, and the layer out who kills him, thus encompassing his entire life. In other words his muse/Goddess is structured on how the male poet is cared for/served by this female energy throughout his life. This concept however was taken and expanded - and obviously heavily edited and re-shaped - by modern paganism to form the more familiar Maiden/Mother/Crone triple Goddess most of us are familiar with. There have also been numerous attempts to create a male triple counterpart to the female one invented by Graves, to balance it for those who like the system. From a historic perspective there is no, to my knowledge, Celtic triple Goddess as Graves envisioned her. Generally when we see Goddesses in groups of three, such as the Morrigan or Brighid, they are age-equals, usually sisters. When we look at examples like the Gaulish Matronae we sometimes see one younger woman with two older ones, but never the range of young, middle aged, and old. In fact as far as I know it is unusual to see Celtic goddesses depicted exclusively as elderly - although of course many of them can sometimes appear so, they are understood to be ultimately ageless. This becomes a problem when people who do like the idea of the Triple Goddess try to fit pagan Goddesses into the mold which, in my experience, rarely seems to work well. In contrast though I have seen some amazingly intense results from people connecting directly to the, for lack of a better term, archetypes of the Maiden, Mother, and Crone. The Oak and Holly Kings are similarly an idea that was first suggested in that form by Graves. Drawing on Frazer's idea from 'The Golden Bough' of a divine King and looking at a variety of paired deities in mythology including Lugh and Balor and Llew and Gronw Pebr, as well as myths of the Robin and Wren, Graves suggested a seasonally reoccurring battle for dominion of the year that would happen at the solstices. At the summer solstice the Holly King would win and usher in the dark half of the year, while at the winter solstice the oak king would win and bring back the light half. This idea of course has been widely adopted by many Wiccan and neopagan groups and has become a familiar theme to the Wheel of the Year. The problem, such as it is, with the Oak and Holly kings isn't that they don't work well as a modern concept but only that they didn't exist as one historically. While they may be loosely based on similar mythic themes the Kings themselves are decidedly an invention of Robert Graves. Its telling that Graves chose the solstices, two holidays that we have no existing significant information about in Irish mythology, and not the far more important Bealtaine and Samhain as his turning points of the year. We do know from surviving myth and folklore that it was at Bealtaine and Samhain that the year turned from dark to light and back again, so it is highly suspicious to think that there would have been an old belief about Kings fighting and turning the year six weeks later at the solstices. The theme itself is clearly sound and rooted in older motifs, and I don't think anyone disputes that, but the particular iteration of Oak and Holly Kings and the fight on the solstices to eternally turn the year are unique to Graves. The tree calendar may be my biggest personal pet peeve to come from the White Goddess because it is constantly and ubiquitously spread around as ancient and druidic when it is neither. I highly recommend Peter Berresford Ellis's article 'The Fabrication of Celtic Astrology' and Michel-Gerald Boutet's 'Celtic Astrology; A Modern Hoax' for in-depth debunking of the tree calendar and related Celtic astrology, but the short version is that Graves made it up. We have no surviving information on the exact calendar used by the pagan Irish, but we can be certain it wasn't based on the Ogham because we do have a great deal of surviving Ogham material, none of which references calendar use. Also looking at the 13 month calendar created by Graves we can see several red flags. He begins his calendar not in November around Samhain (the beginning of the new year and shift to winter) or aligned with the moon phases, but rather on December 23 to line up with the winter solstice and the birth of a sun god - except the Irish have no deity born on that date as far as I know, and most explicitly solar deities in Ireland are female (the word for sun is female as well). Also in order to make the calendar work Graves had to cut the letters down from 20 to 13, which he did by ignoring the work of some of the premiere Ogham scholars of the day, including his own grandfather Charles Graves who was president of the Royal Irish Academy, and relying instead on the work of a highly controversial and criticized fringe scholar of the time (Ellis, 1997). He also focuses exclusively on the Tree Ogham, despite the fact that this was only one of many types of Ogham in use, and was no more or less significant or likely to be used for any purpose than any other Ogham. Basically he took what suited him of the available information and just ignored everything else to form what he wanted. It is certainly a workable modern system and many people today like it, but it did not exist before Graves created it. Now on to the Druidic Gods Graves claimed - Druantia and Hu Gadarn. To start with Druantia, the Goddess that Graves suggested Druids worshiped: simply put she never existed at all historically. The name seems to be based on the same root as the word Druid, one might assume meaning oak. However there is no evidence of this Goddess anywhere prior to Graves book. Hu Gadarn, his universal Druidic God is a real mythic figure at least, but not a God of the Druids, rather Hu comes to us via Iolo Morgannwg's (aka Edward Williams') highly controversial and forged Myvyrian Archaiology, although Iolo didn't make him up either (Jones, 2009). Hu has a really complex history, coming from a French tale to Wales, possibly as an older reflex of an original Celtic story, but ultimately we can say very little with certainty about Hu except that he seemed to be associated with plowing (Jones, 2009). He certainly wasn't the Welsh horned God or Druidic deity that Graves imagination painted him to be. Both of these figures have found a solid place in modern neopaganism appearing now in books and websites on Celtic paganism and referenced as if they were in fact truly ancient. I will never criticize people who feel a genuine connection to any deity and if you honor either of these beings and find them present and receptive, good. I can only lay out the actual history of each of them as we have it. The White Goddess has clearly had a profound impact on modern pagan theology, although in ways that people are often not aware of. It is not the new theology itself that is the ultimate problem with Graves' work, but the way it has found a place in modern paganism under the guise of ancient beliefs that make some people dislike it. I am not the only person, by far, who takes issue with Graves work and its muddying effect in modern paganism by the way. Ronald Hutton in his book 'The Pagan Religions of the Ancient British Isles' referred to the White Goddess as "a major source of confusion about the ancient Celts and influences many un-scholarly views of Celtic paganism" and Hilda Ellis Davidson in her 'Roles of the Northern Goddess' said about Graves that he "misled many innocent readers with his eloquent but deceptive statements about a nebulous goddess in early Celtic literature". In other words, it's books like this that portray poetic inspiration and the author's opinions as ancient pagan belief that actively harm modern paganism by giving us a false basis to build from. Rather its better to be clear on what is inspiration and what is modern belief and embrace it for the value it has rather than cling to an idea of a history that never existed and is easily disproven. I encourage people who have adopted Graves ideas to read the White Goddess for themselves and see how the author originally presented the concepts, as it is quite fascinating to see the seeds that have grown into such deep rooted theology in the last 68 years. It really is quite amazing to think of the way that, within three generations, more or less, the pagan community has seized on these ideas and incorporated them so thoroughly and in such important and vital ways. Its hard to imagine modern paganism without the imagery of the triple Goddess or the seasonal Kings turning the wheel of the year, and I say that as someone who doesn't even adhere to those traditions. But please, lets stop calling the tree calendar 'ancient' and 'Druidic', and lets not try to frame the modern triple goddess and Oak and Holly Kings as the powers worshiped by the pagan Irish a thousand years ago. Call a spade a spade and understand these things for the modern concepts they are, which in no way lessens their practical value but certainly changes how we might understand the past cultures. *I'm choosing to focus here specifically on aspects of the White Goddess which have impacted modern pagan theology; an entire other blog could arguably be written just about the book's misrepresentation of Celtic mythology itself. For one example see Brian Walsh's blog entry 'Desecrating Graves (Introduction to the Song of Amergin Part II)' which discusses the serious problems with Graves' treatment of the Song of Amergin in his book. of a fair form in daylight. hall far from mortal things. my heart, united with you. because I cannot wish it otherwise.